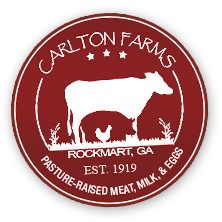 At Carlton Farms we design and cut our own maze. 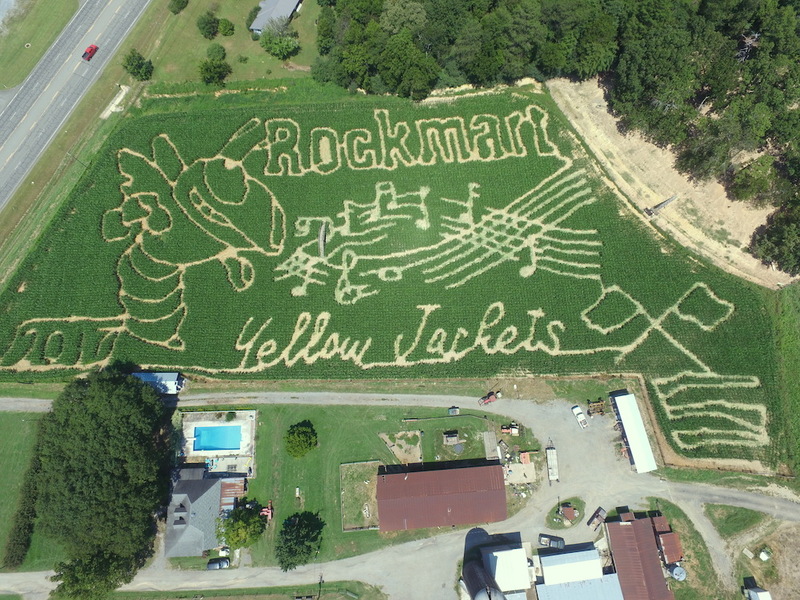 Our corn maze is a 5 acre field with approximately 2 miles of trails. We cut our design in the maze with lots of dead ends and wrong turns for you to navigate. It usually takes maze goers 30 minutes to an hour to navigate the maze. It is perfect for all ages! The corn maze and hayride are handicap accessible. We hope to see your family, church groups, business and friends at this year's maze! 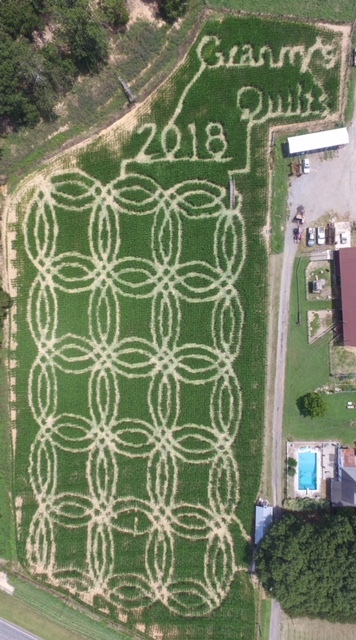 The Corn maze is open to the public on weekends only. Fall activities are open Friday, Saturday and Sunday starting September 29th through Saturday, November 3rd, 2018. *Remember to bring a flashlight if you plan to navigate the maze after dark. *All activities included in admissions price, except Corn Cannon. Corn Maze rules are posted at the entrance if you do not follow the rules you will be asked to leave. General Rules •NO ALCOHOL •Smoking is not permitted. •No pets are allowed other than service animals. •Adults and parents, you are responsible for the children you bring with you. Please stay with your children. •No alcohol, drugs, or persons under the influence of either are allowed. •WE HAVE A STRICT NO DROP-OFF POLICY! ALL CHILDREN 12 AND UNDER MUST BE ACCOMPANIED BY AN ADULT INTO THE CORN MAZES. WE CANNOT BE RESPONSIBLE FOR UNSUPERVISED CHILDREN. ADULTS NEED TO PLAN ON DOING THE CORN MAZE ALONG WITH THEIR CHILDREN.